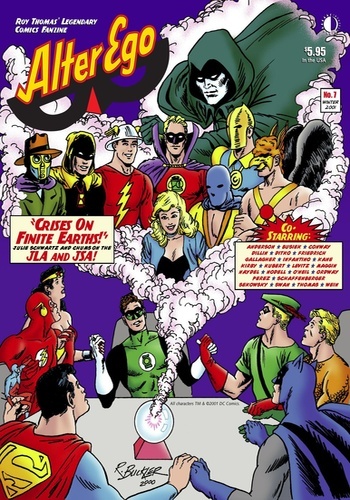 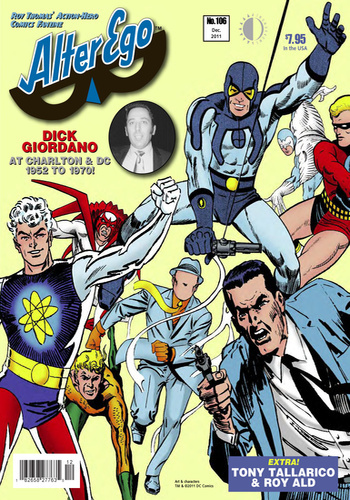 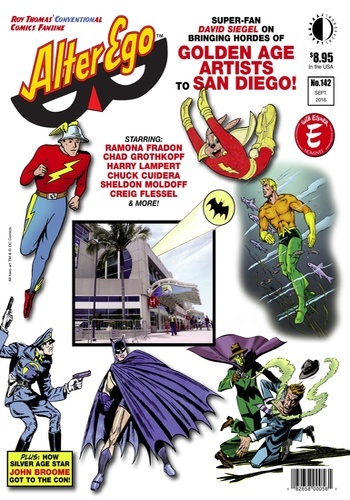 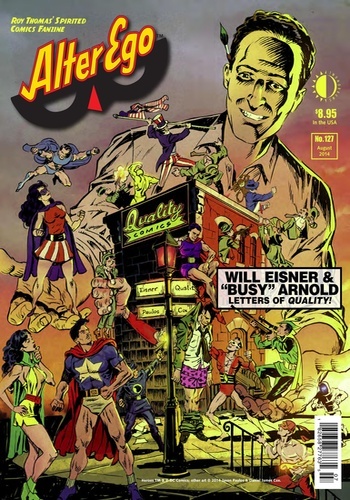 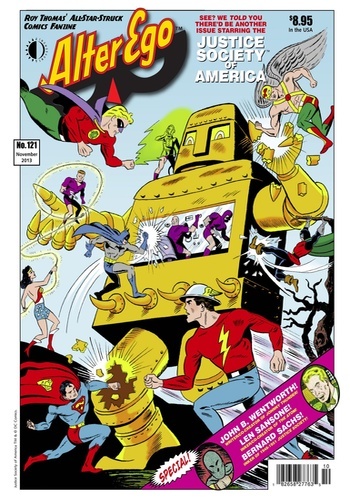 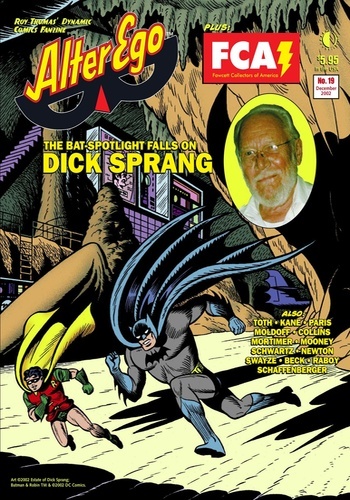 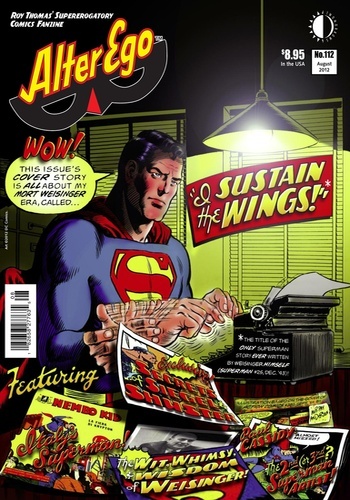 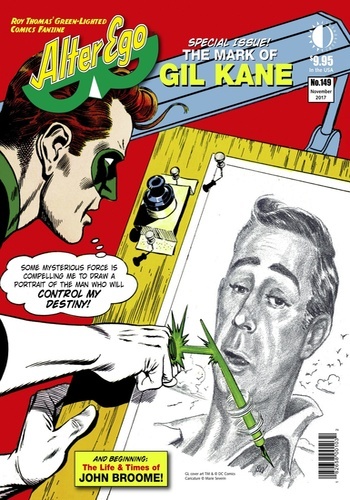 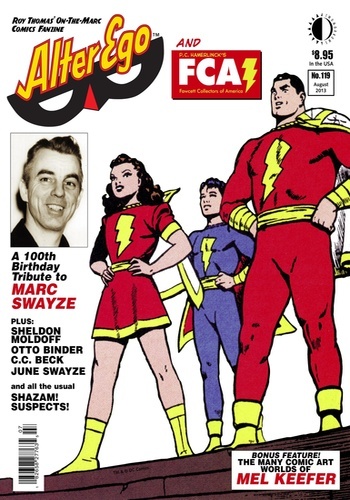 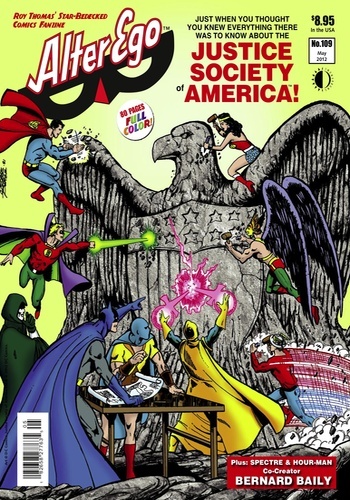 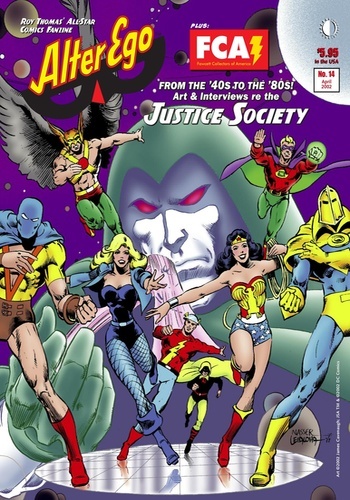 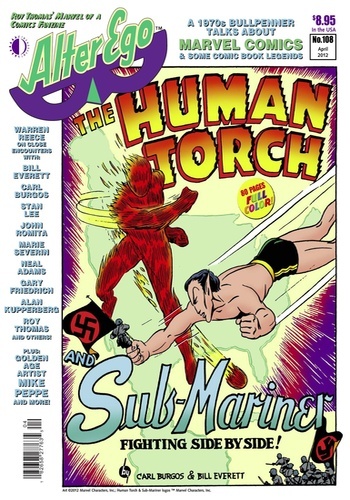 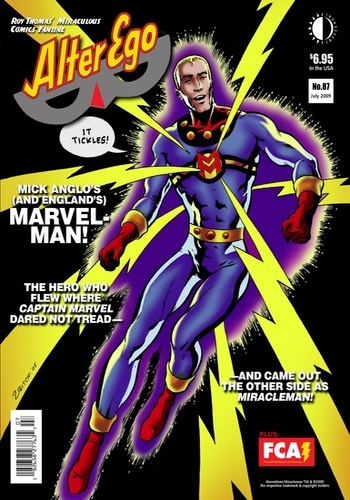 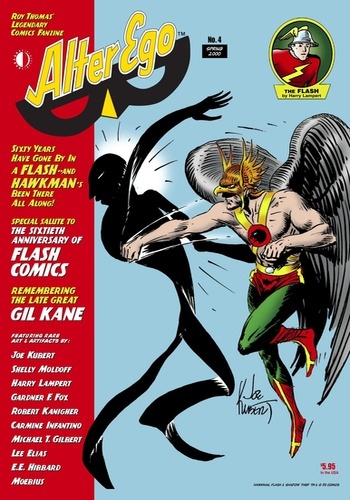 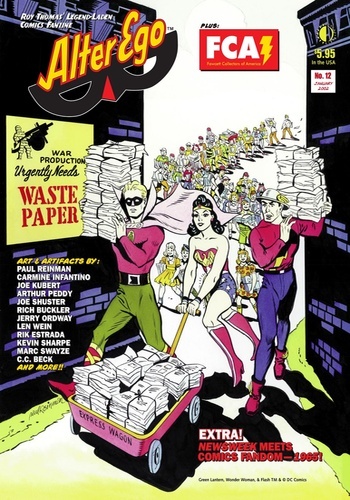 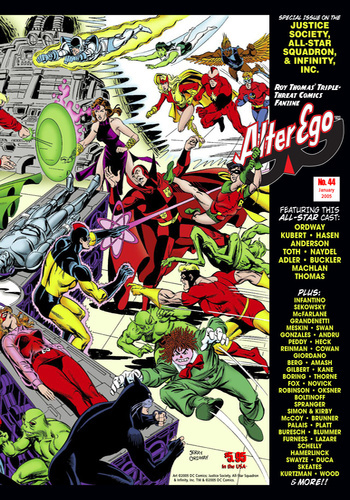 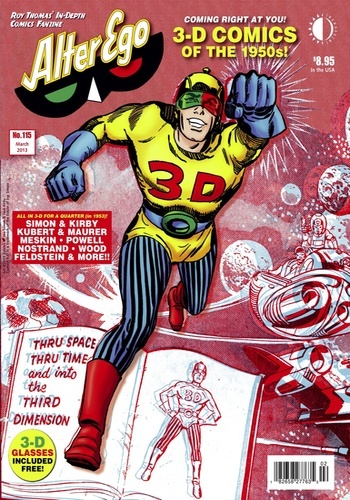 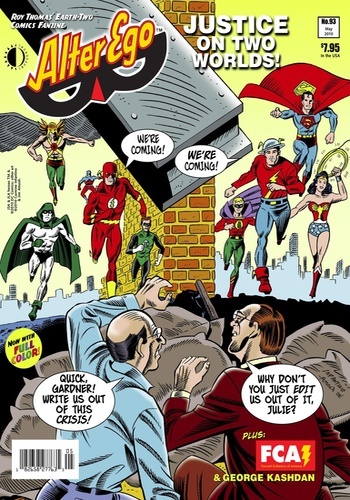 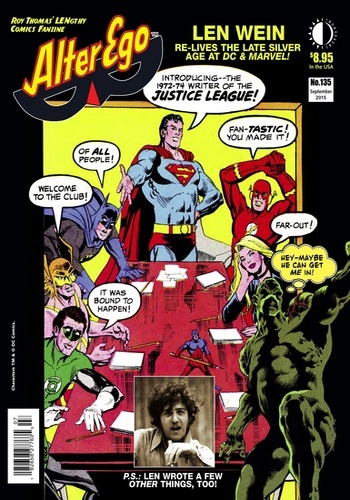 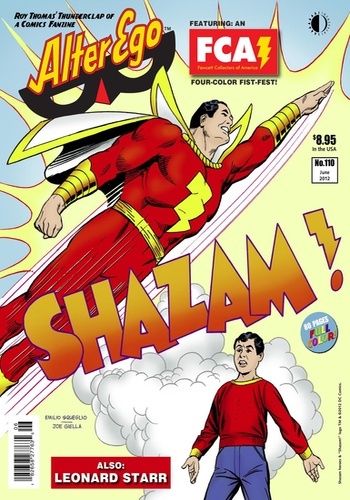 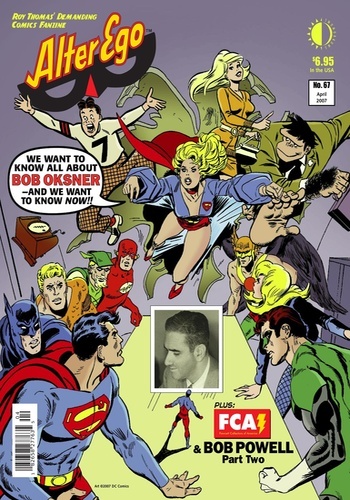 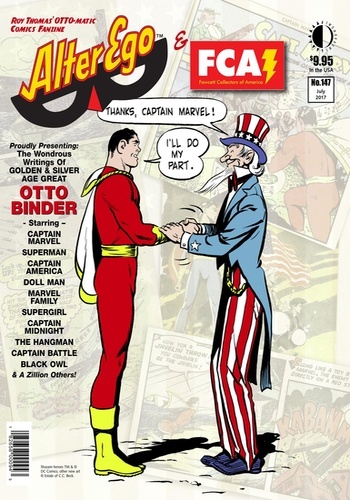 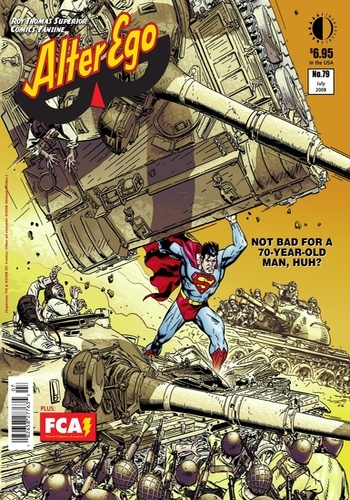 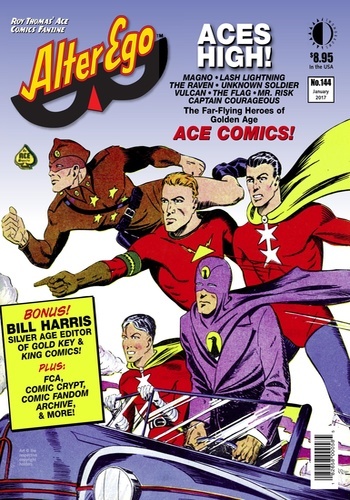 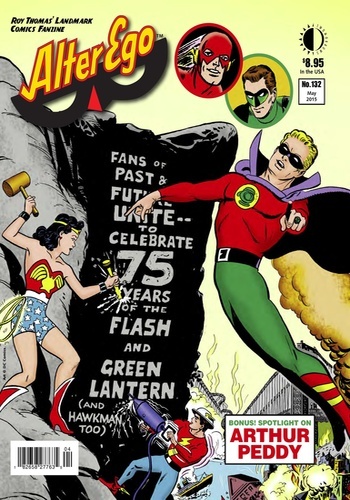 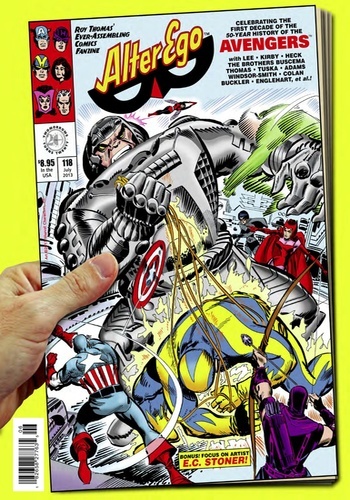 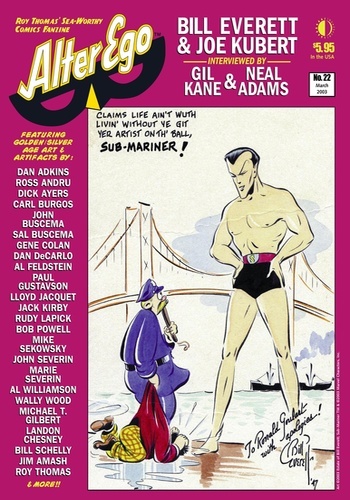 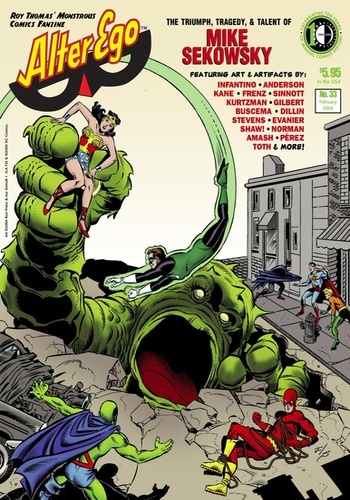 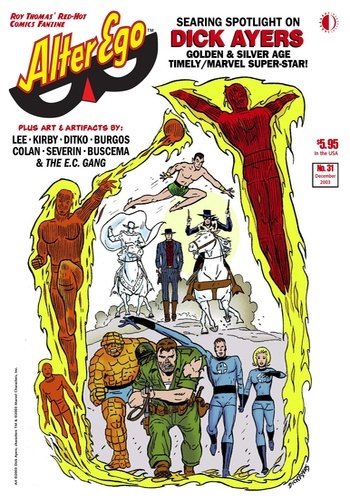 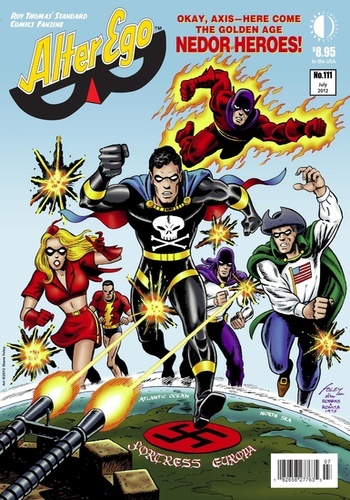 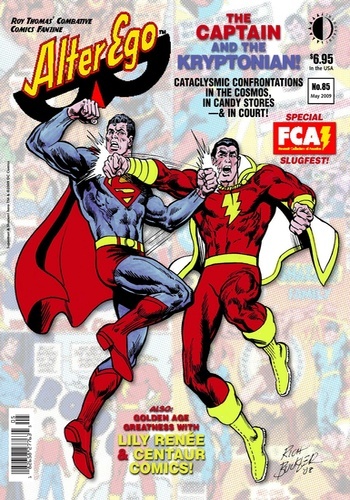 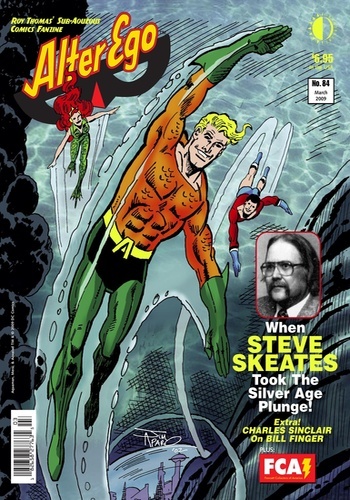 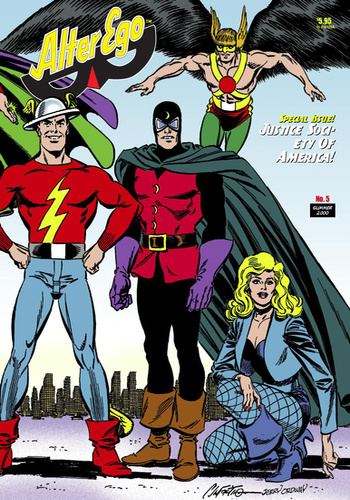 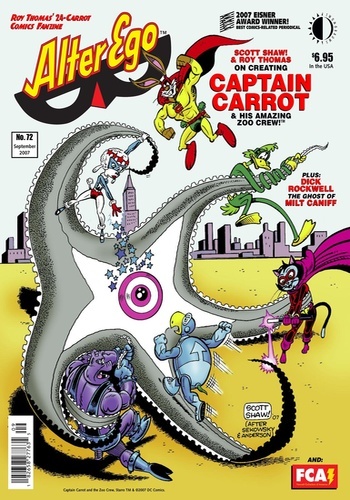 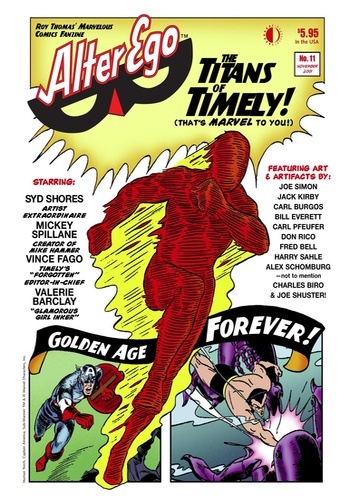 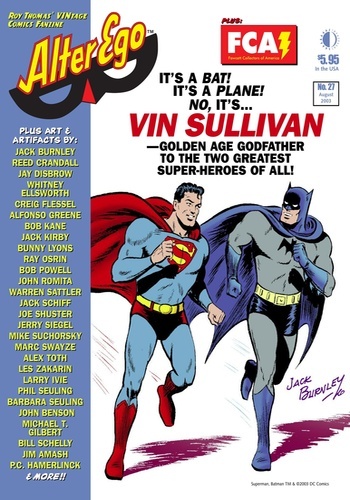 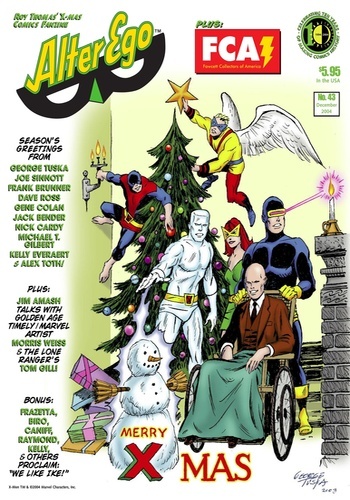 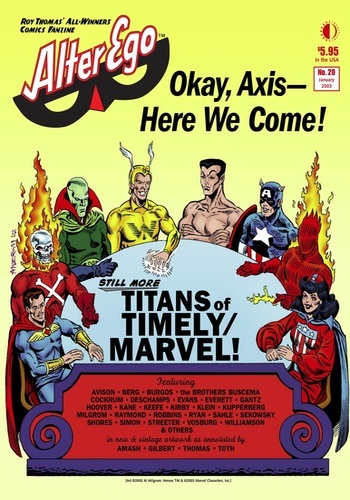 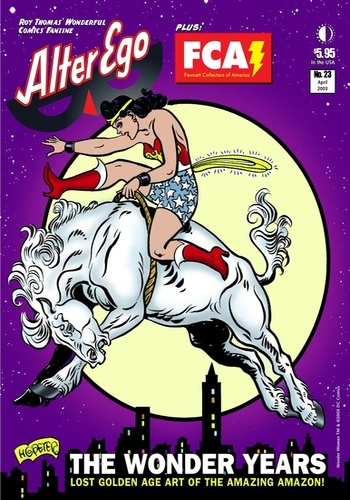 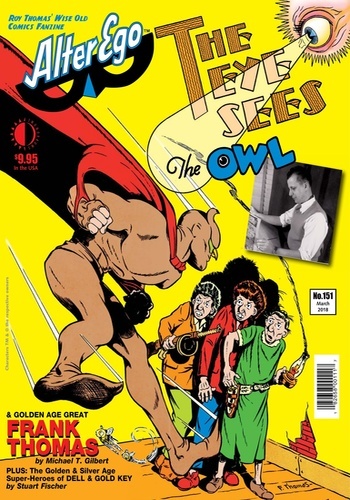 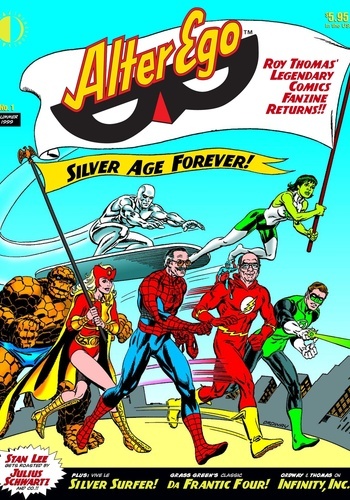 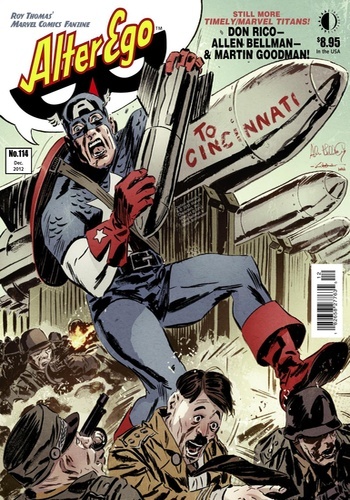 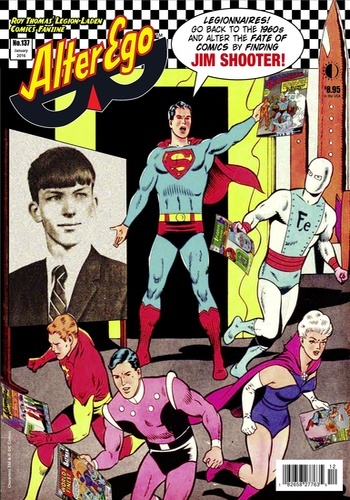 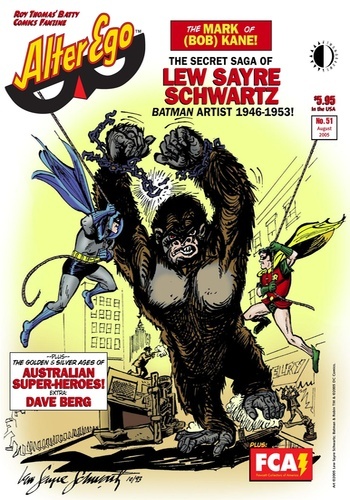 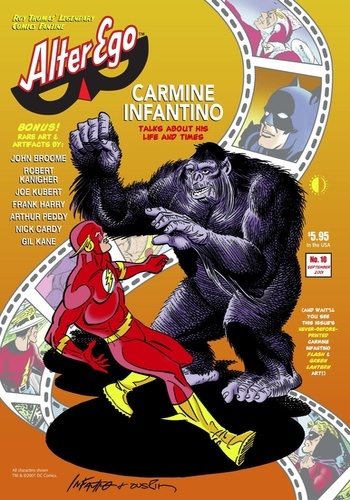 ALTER EGO, the first ‘zine devoted to comic book super-heroes, is back, all-new, and focusing on Golden and Silver Age (1940-1970) comic books and creators! 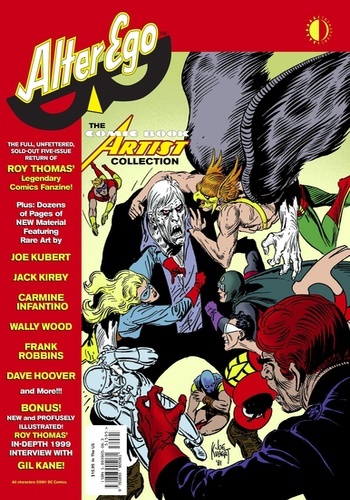 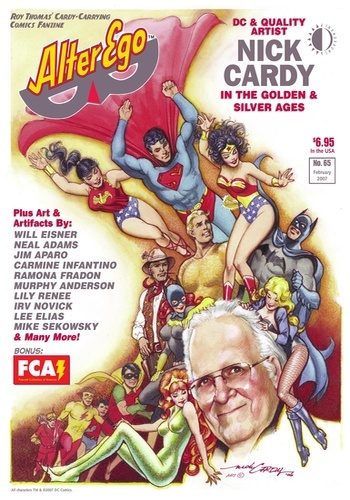 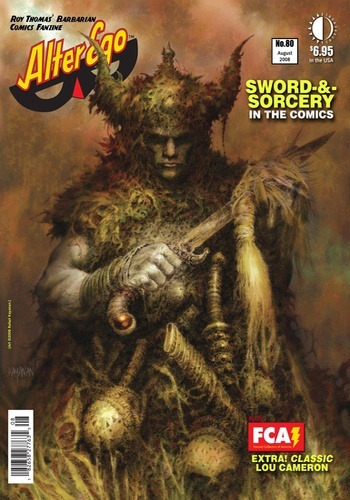 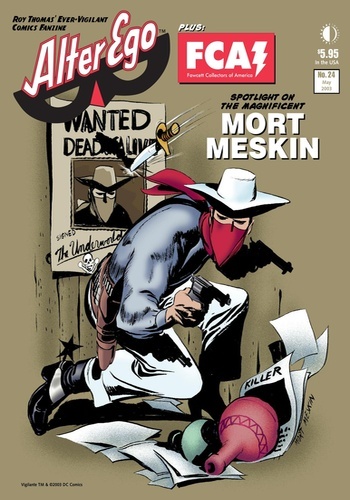 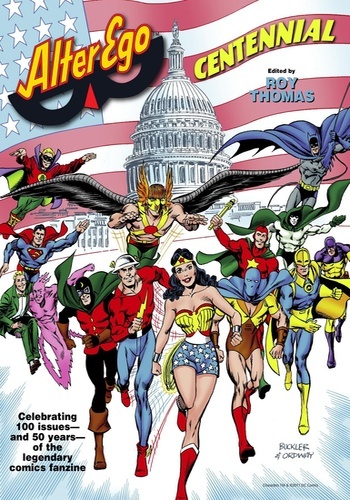 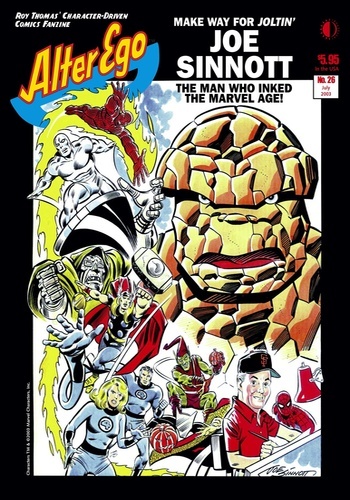 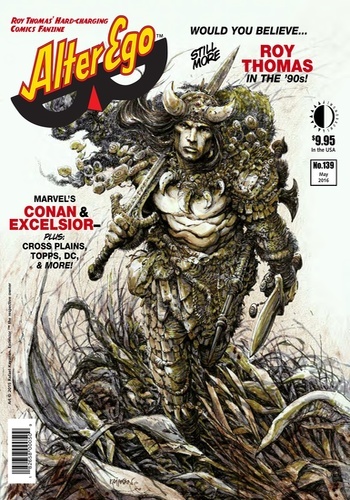 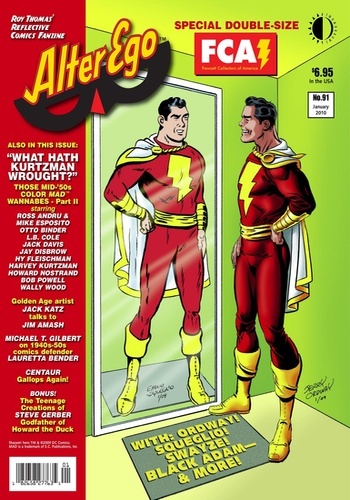 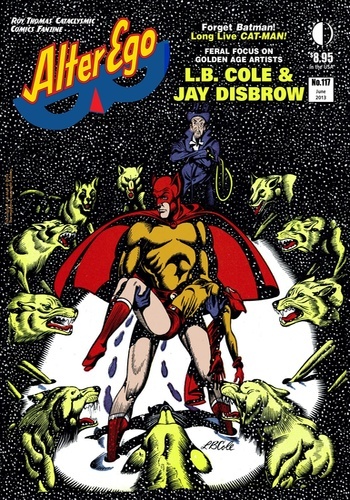 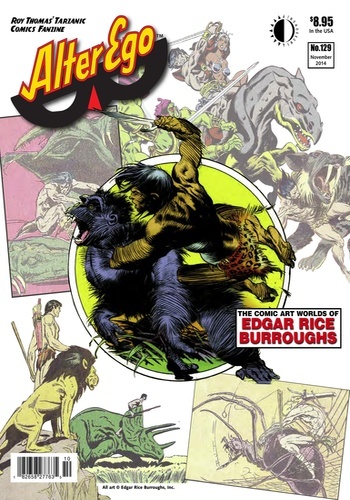 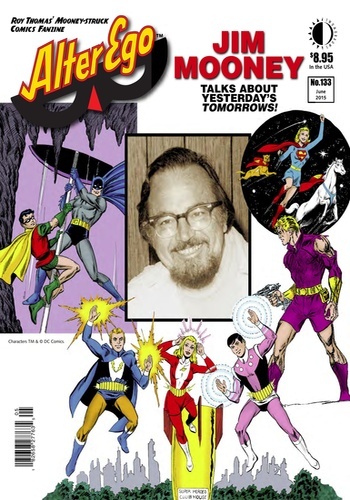 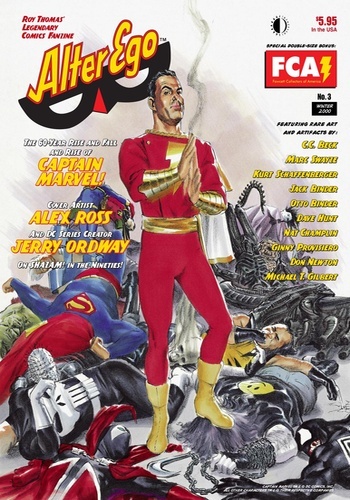 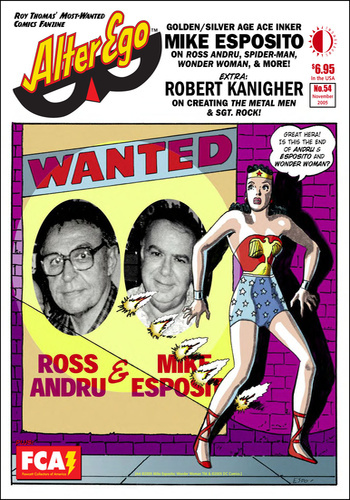 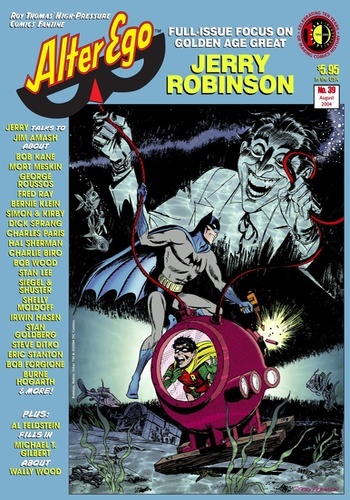 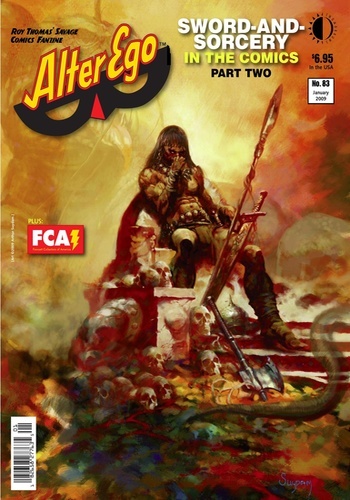 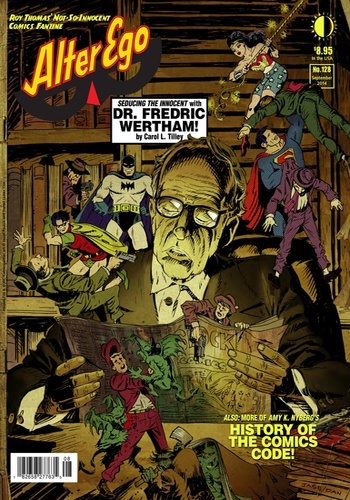 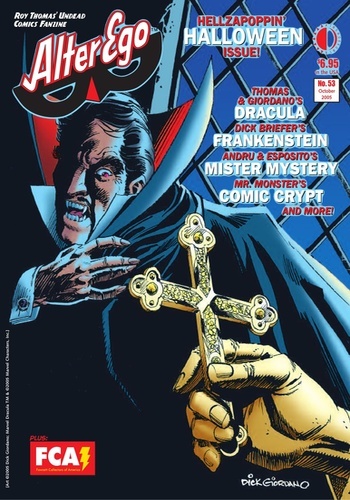 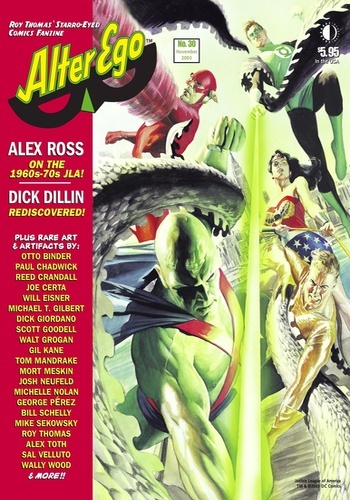 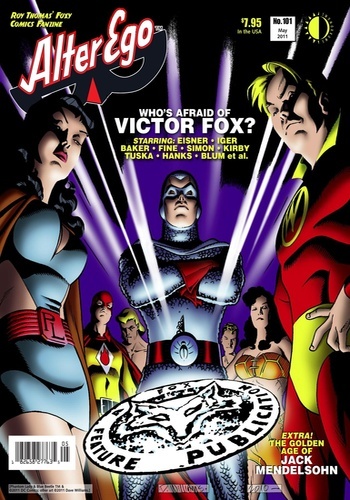 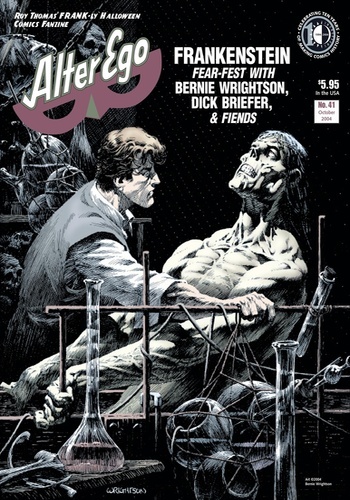 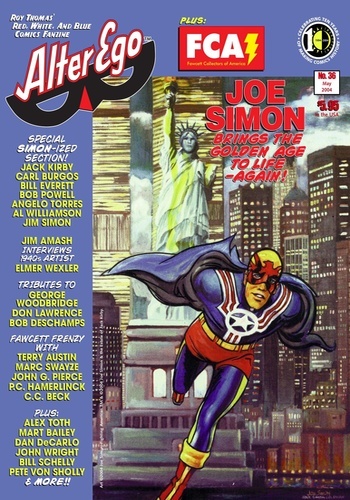 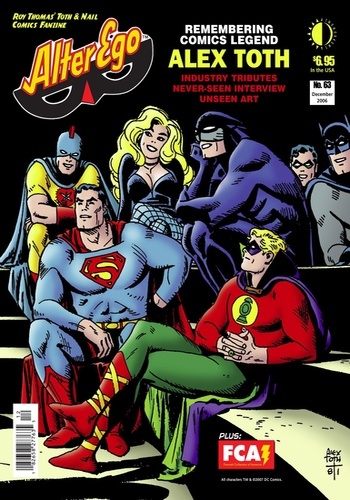 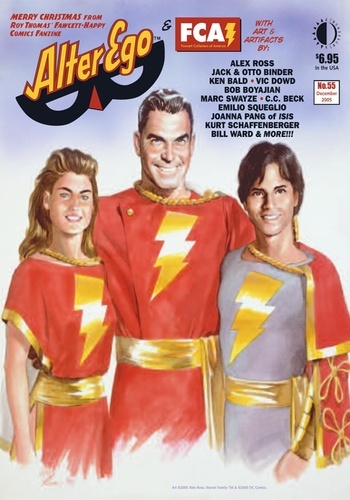 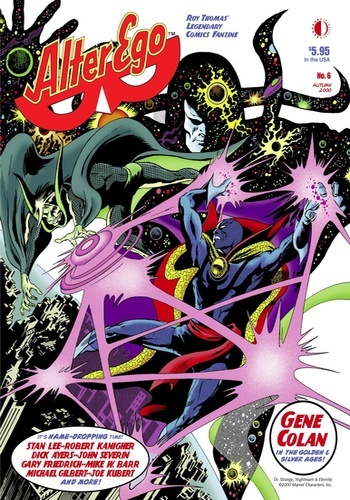 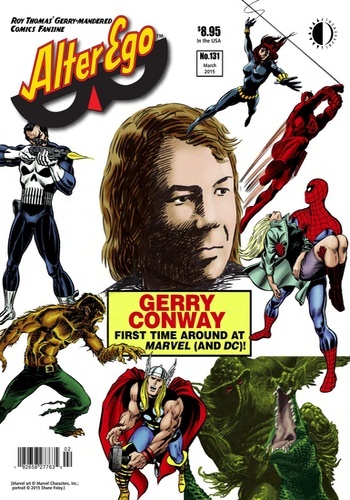 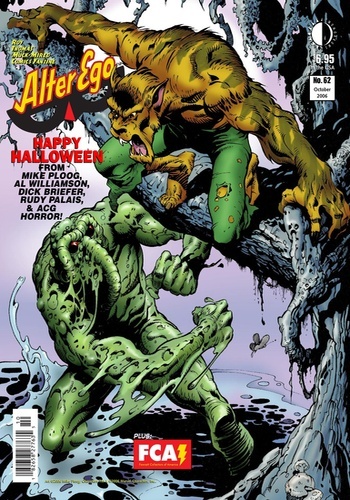 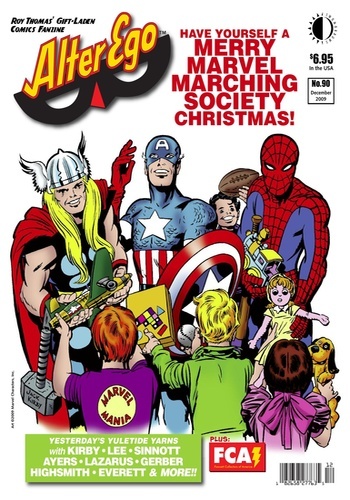 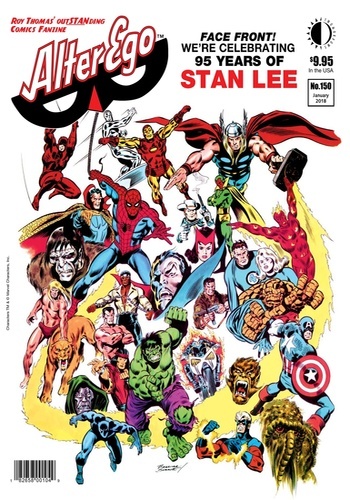 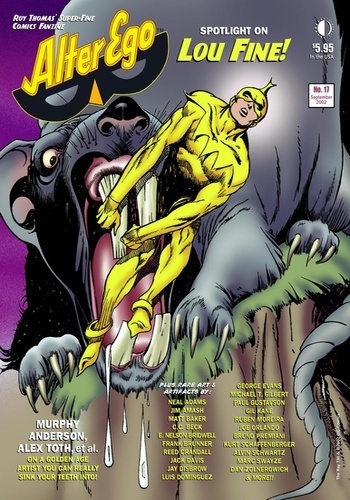 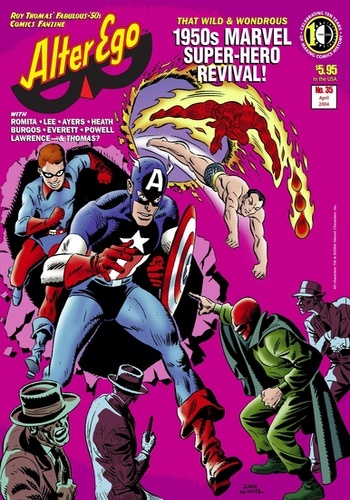 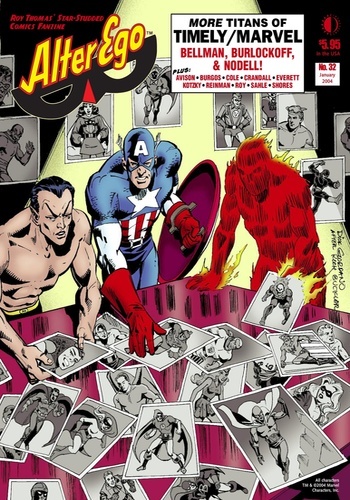 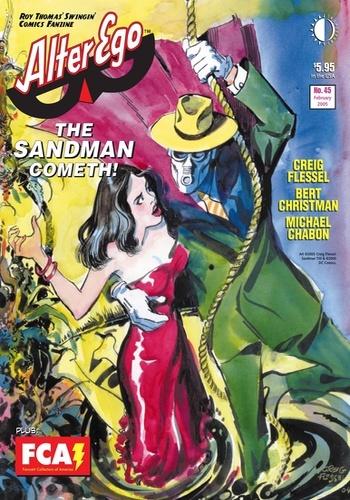 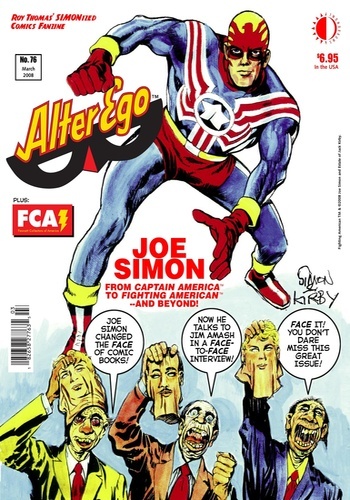 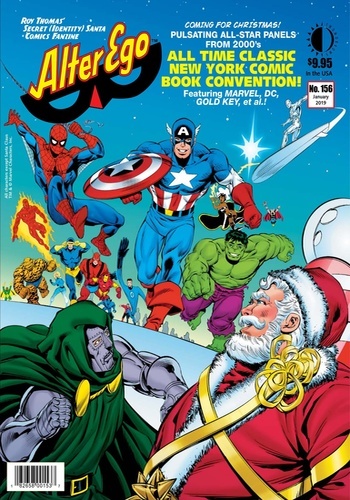 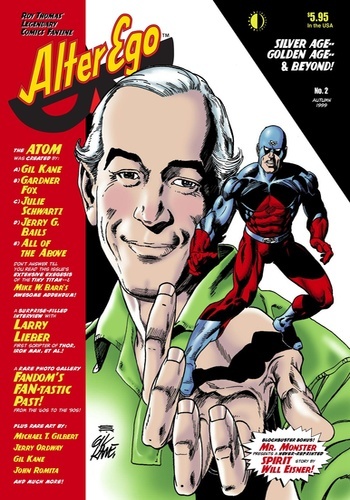 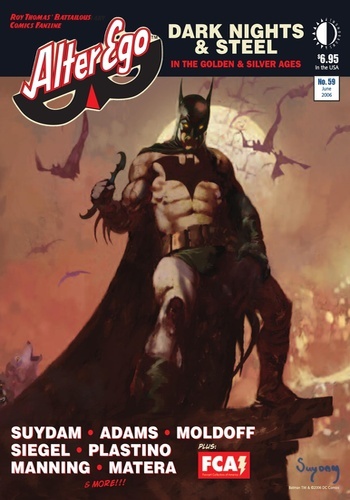 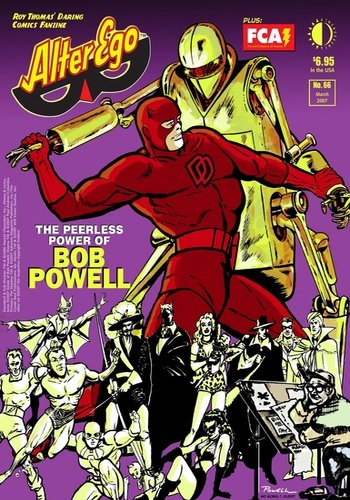 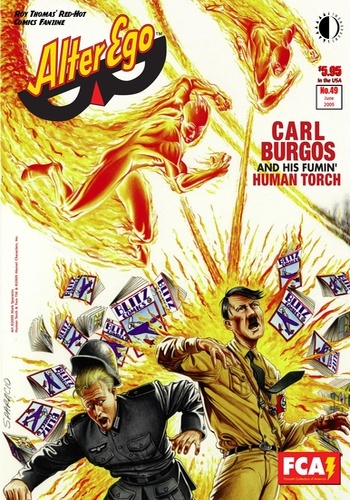 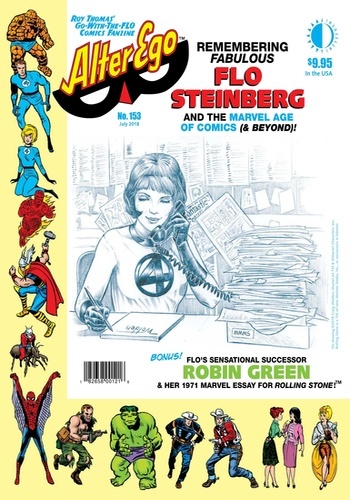 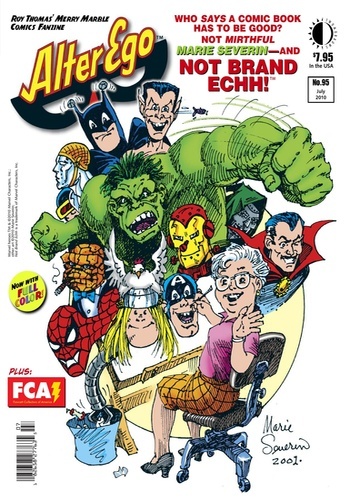 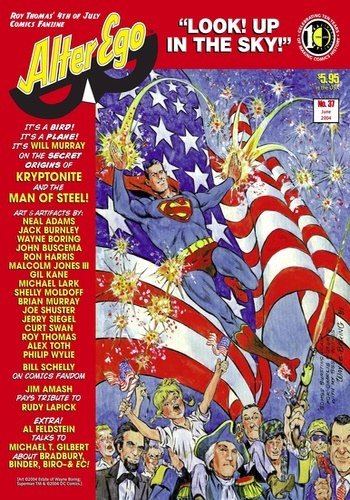 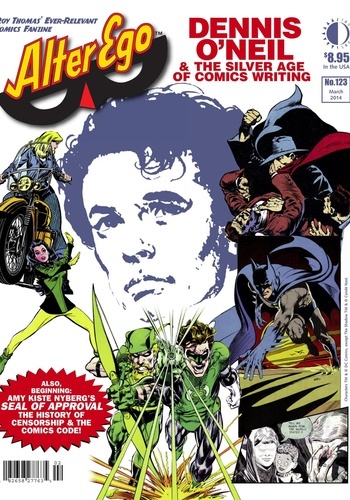 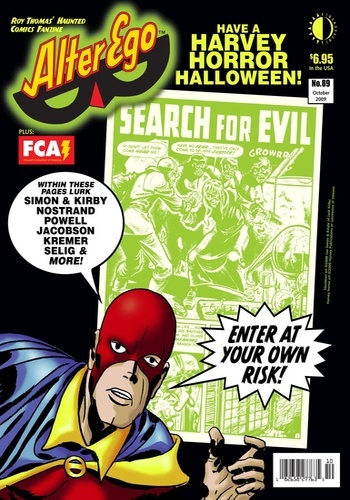 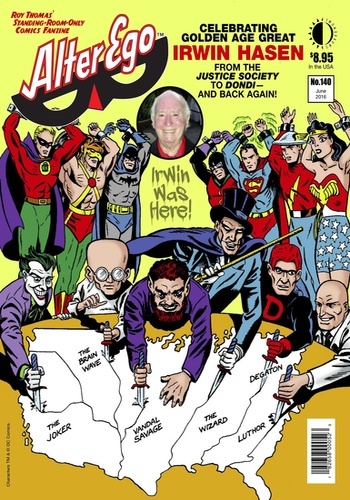 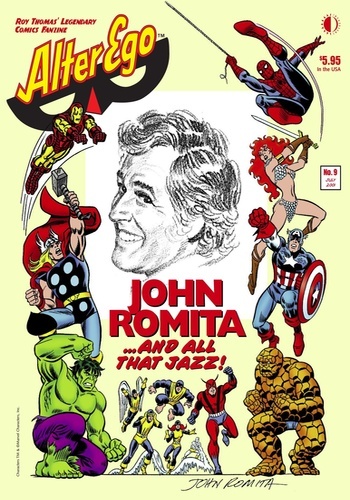 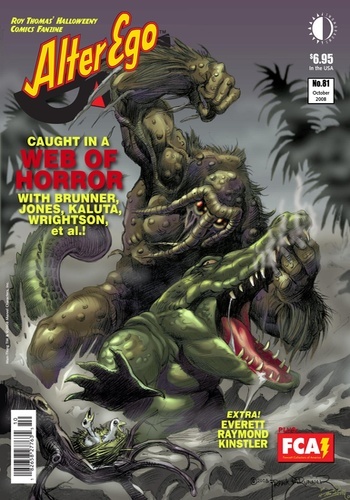 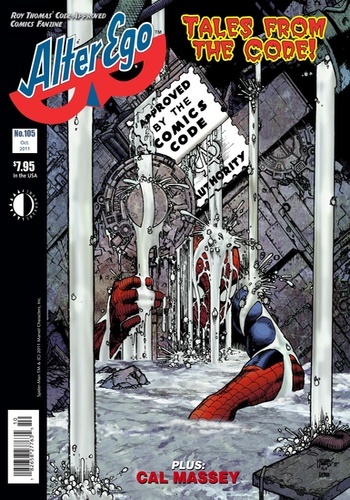 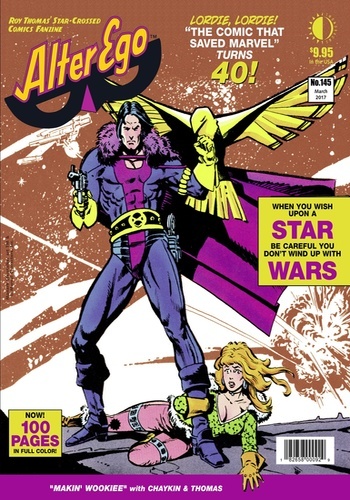 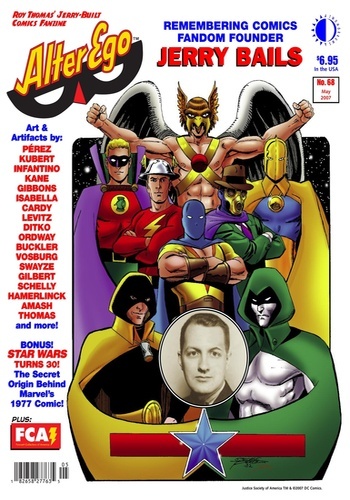 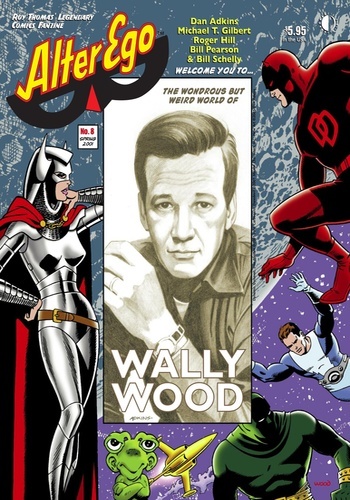 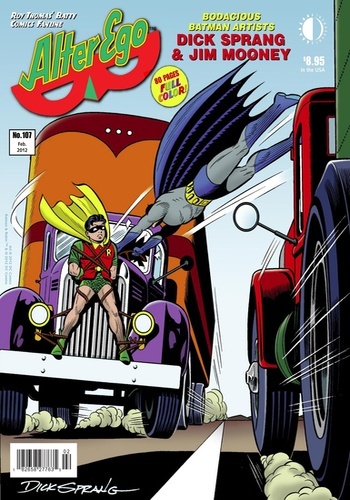 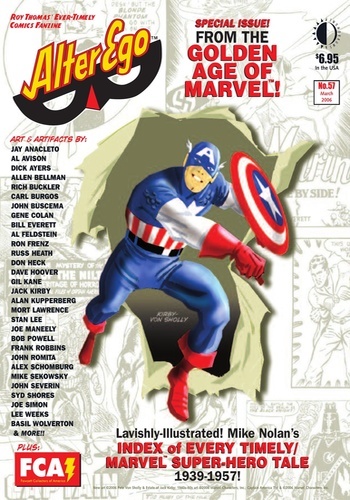 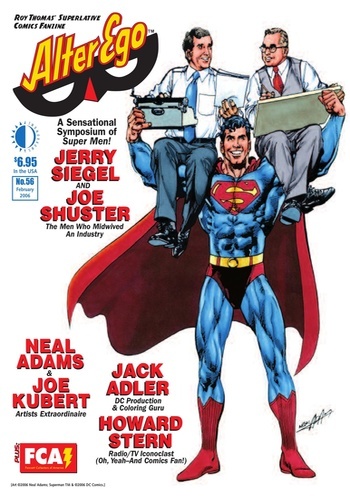 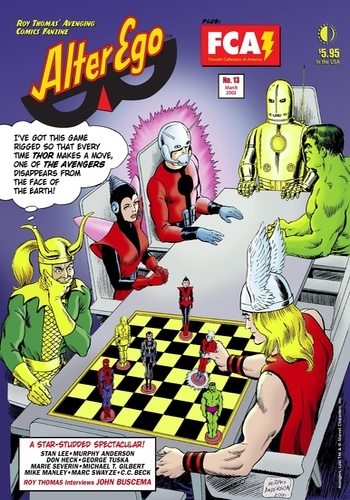 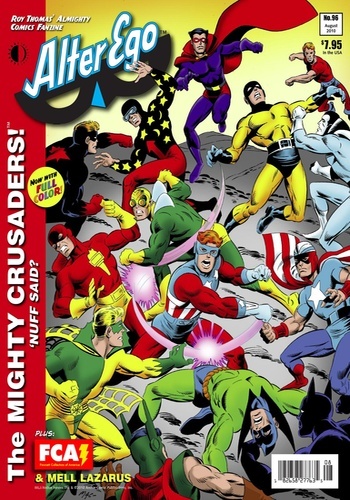 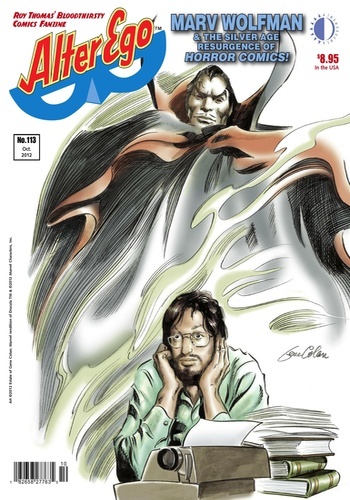 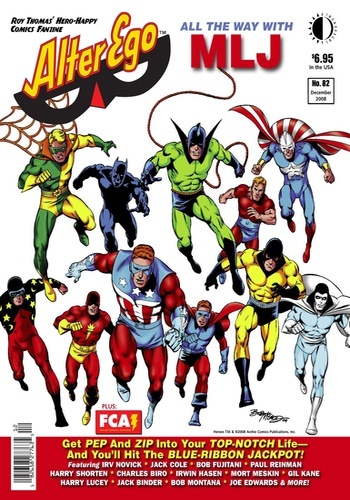 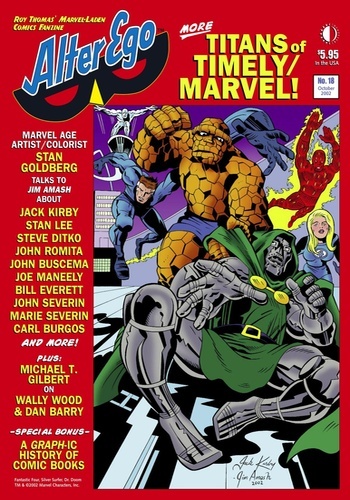 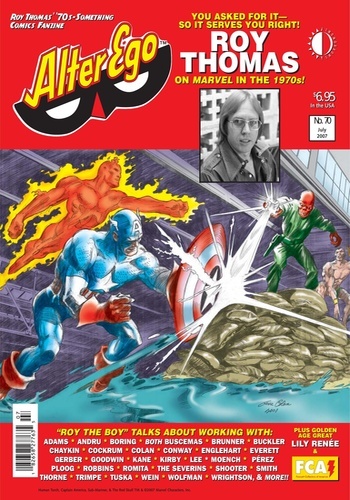 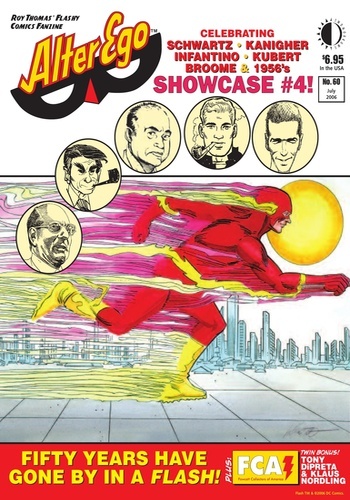 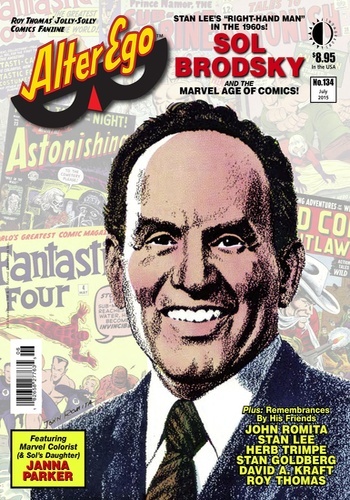 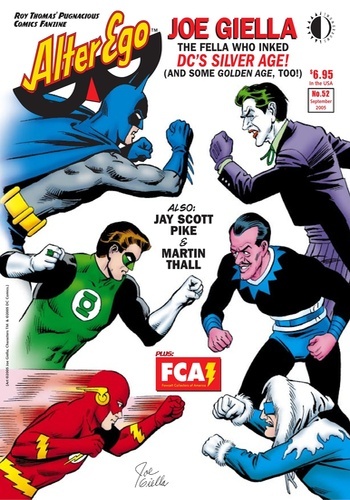 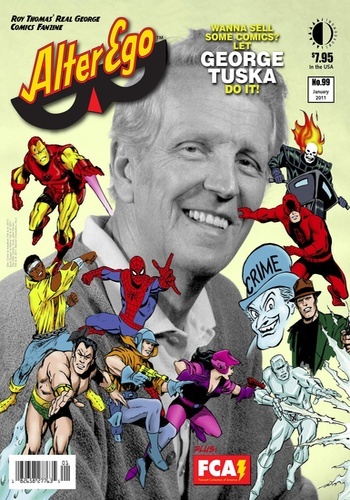 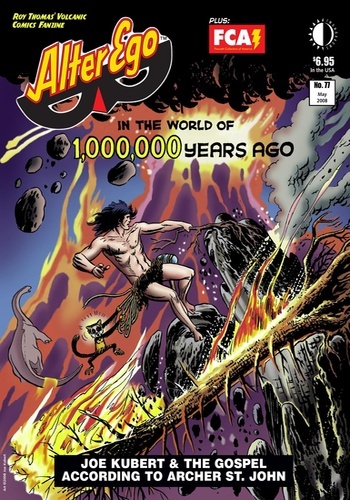 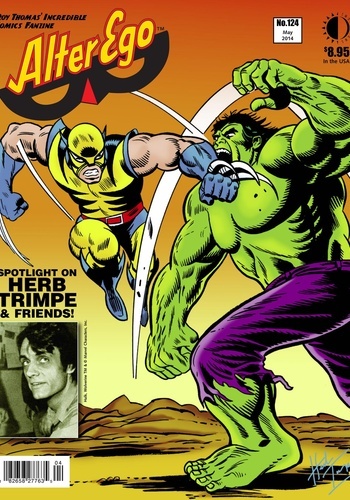 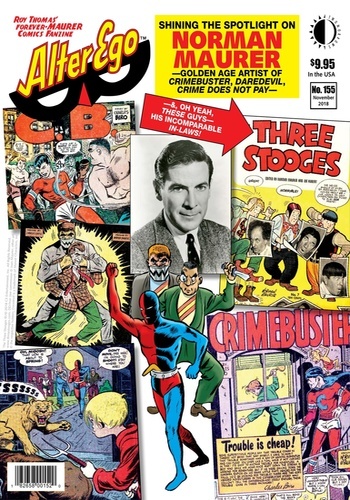 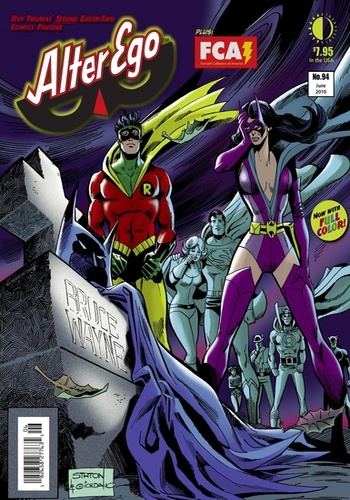 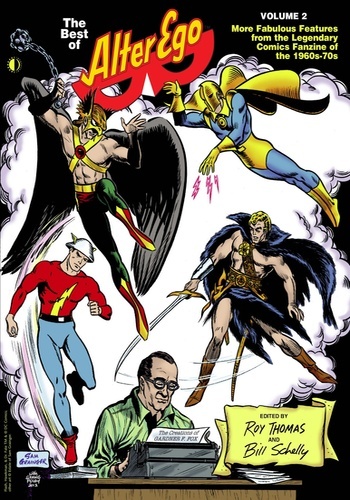 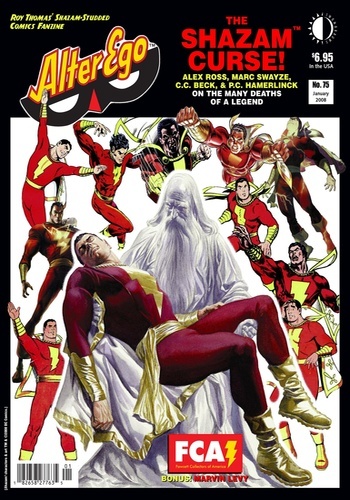 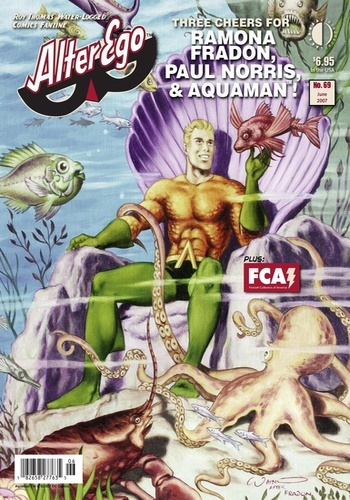 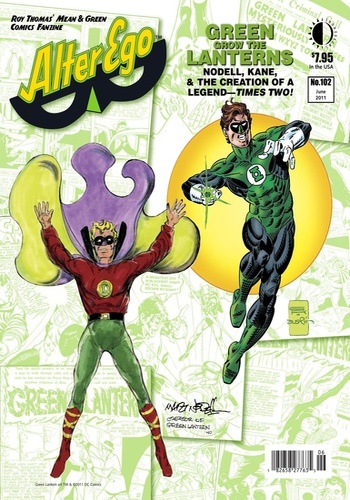 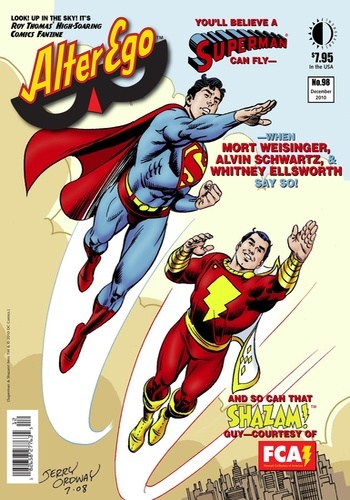 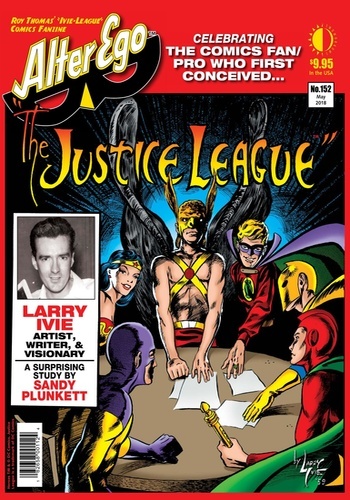 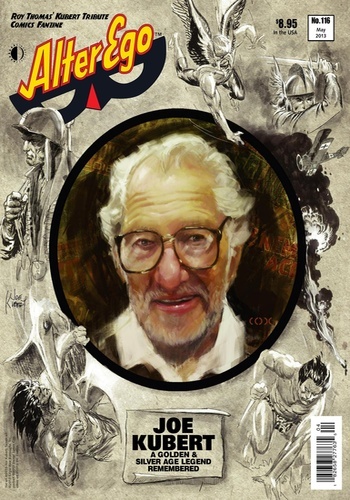 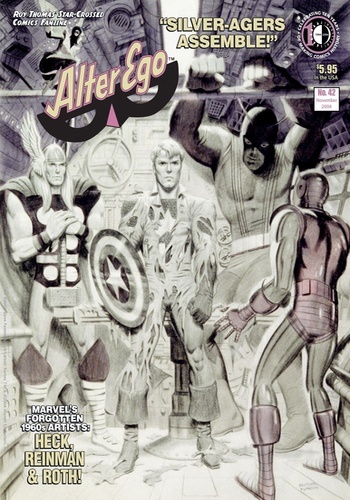 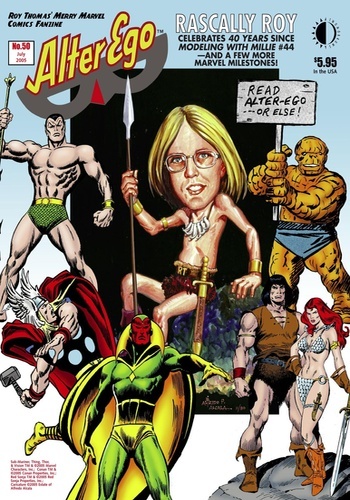 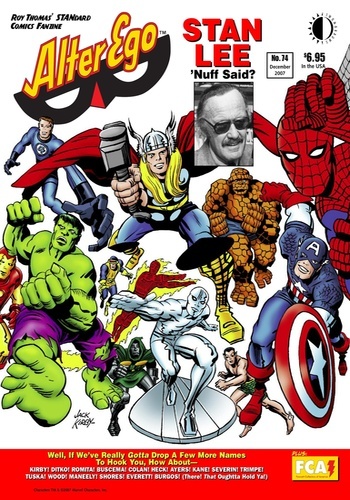 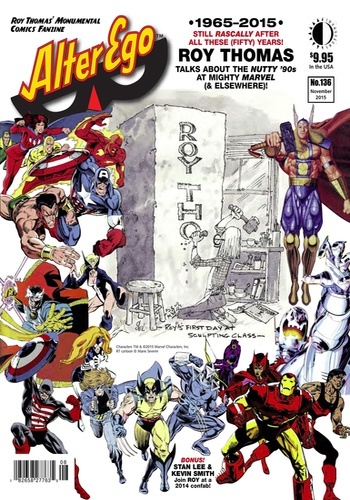 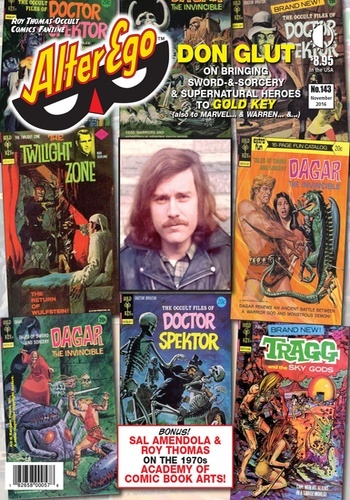 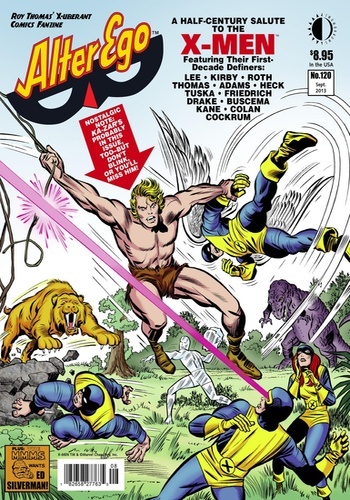 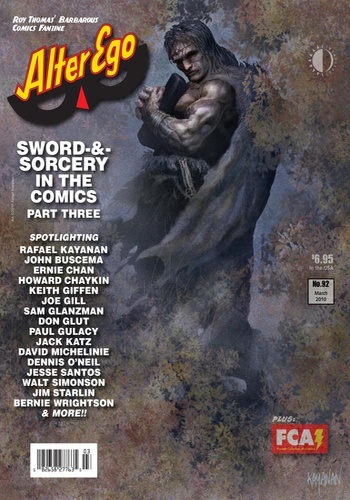 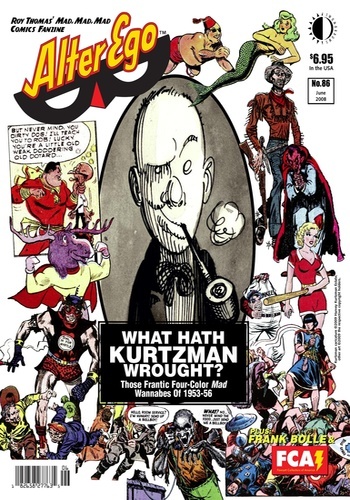 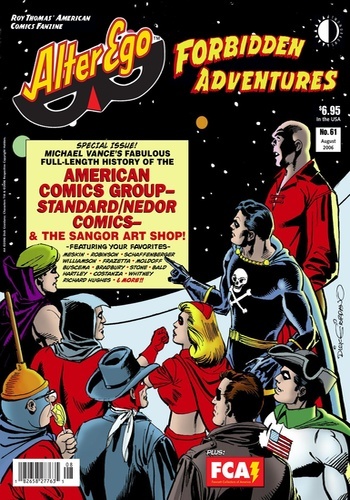 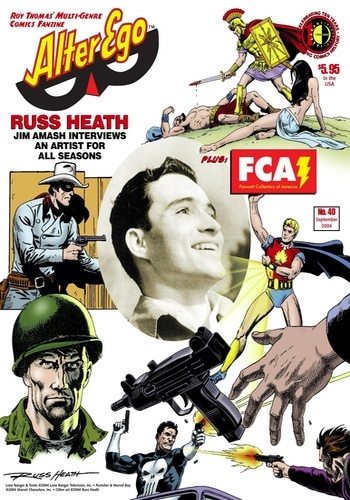 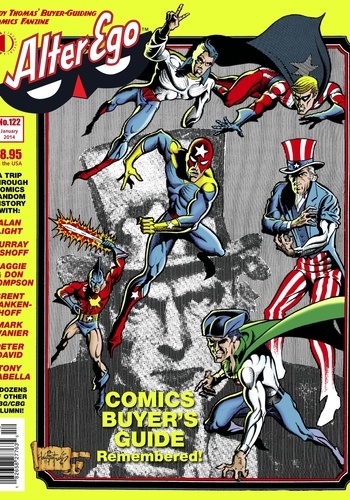 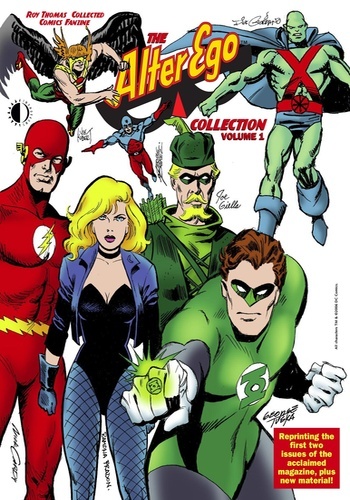 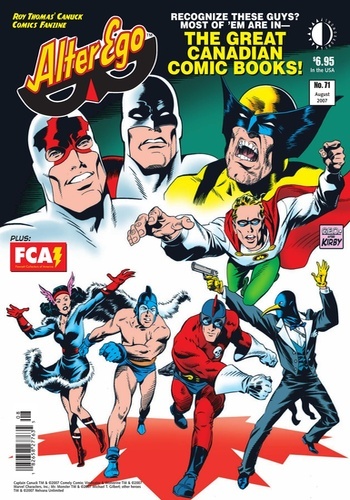 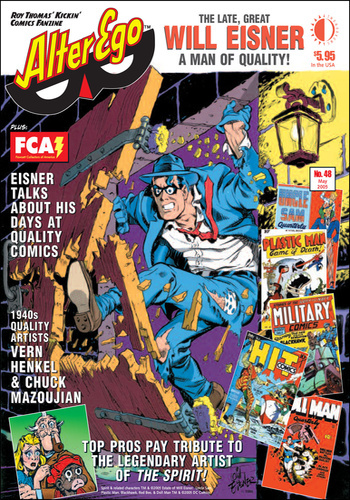 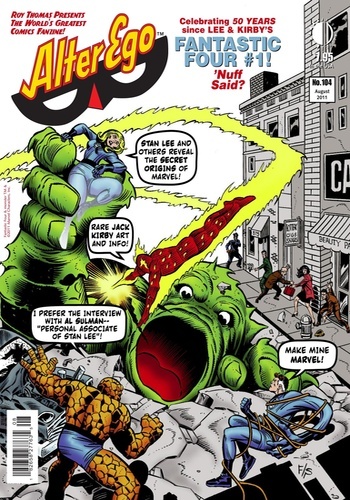 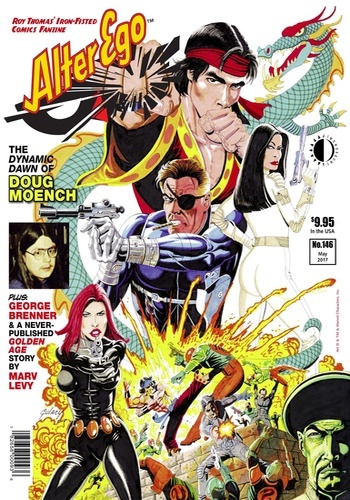 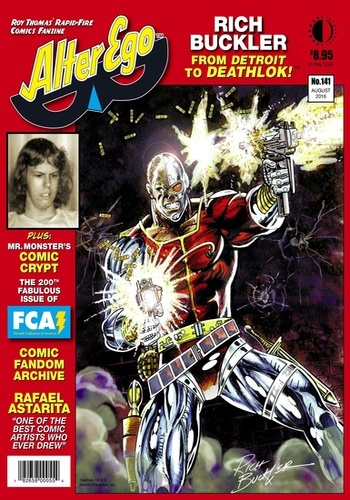 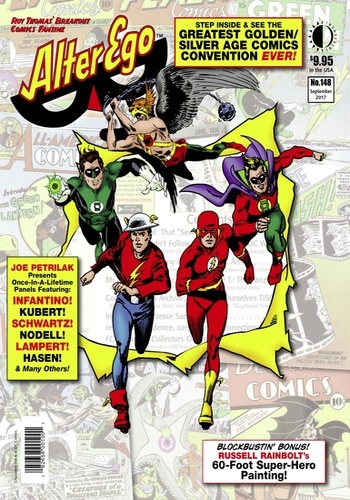 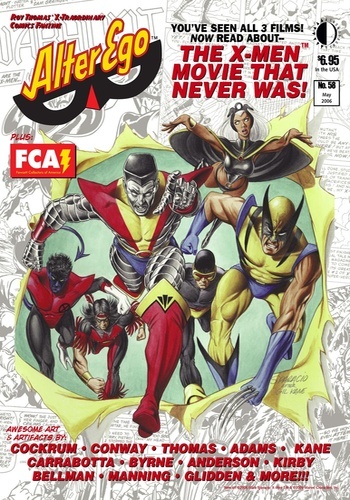 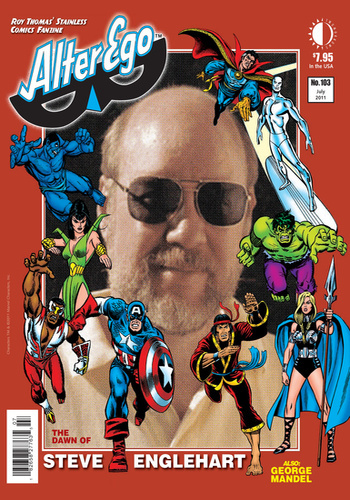 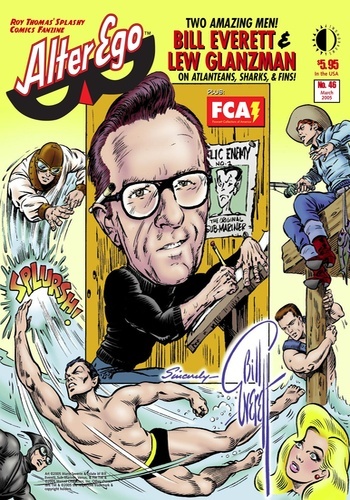 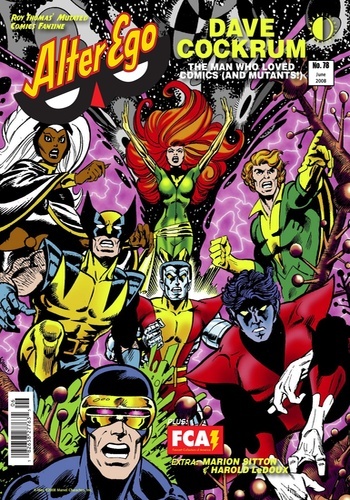 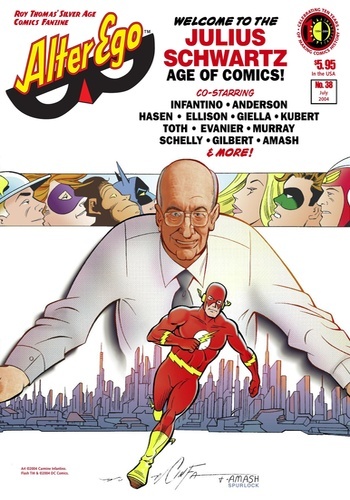 Edited by former Marvel Comics editor-in-chief and writer Roy Thomas, Alter Ego draws on Roy’s roots in 1960s comics fandom, and contains new interviews with legends, vintage articles, and plenty of rare and unseen artwork, plus P.C. 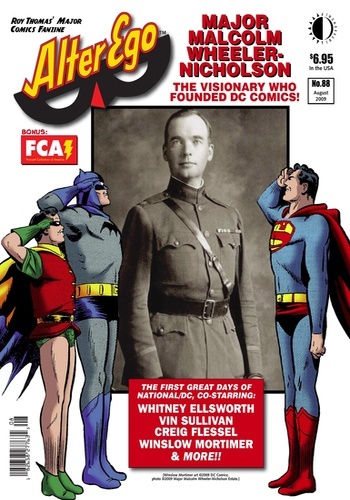 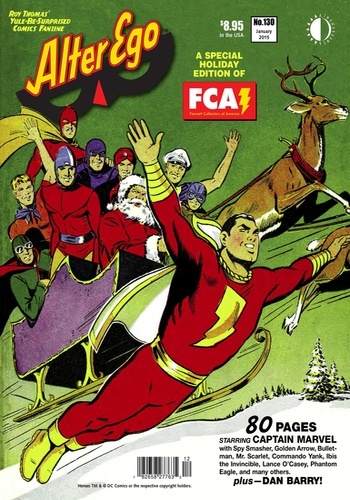 Hamerlinck’s FCA (Fawcett Collectors of America, featuring the archives of C.C. 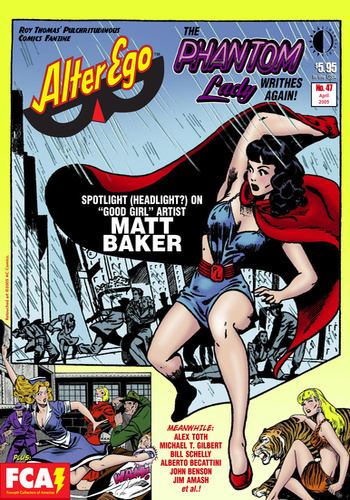 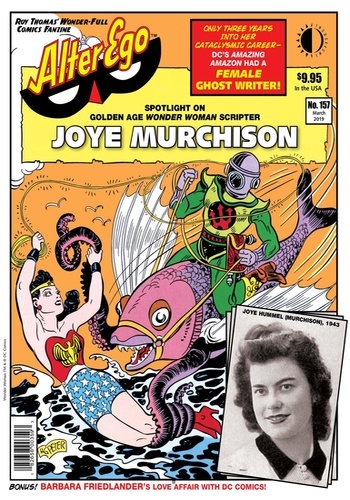 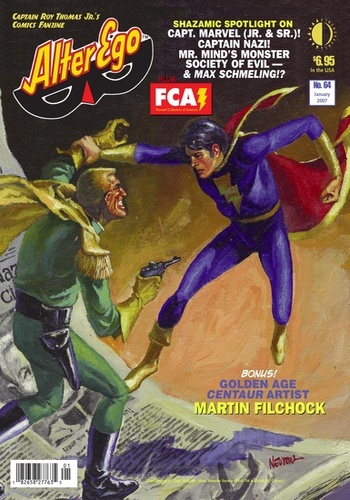 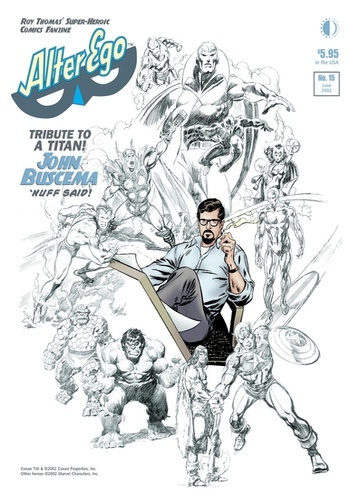 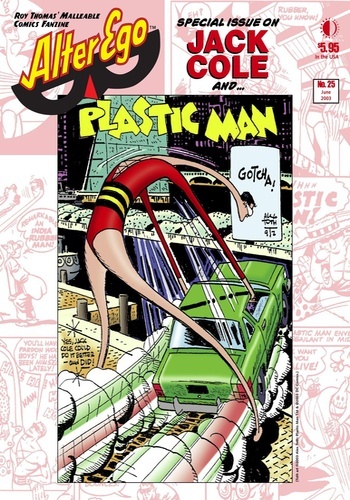 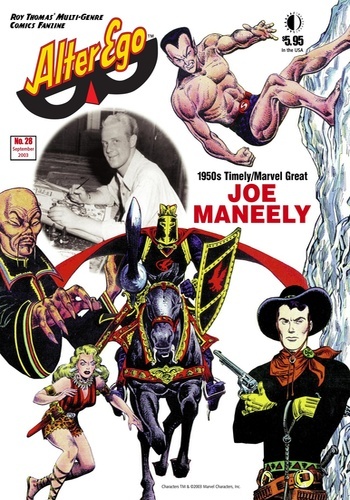 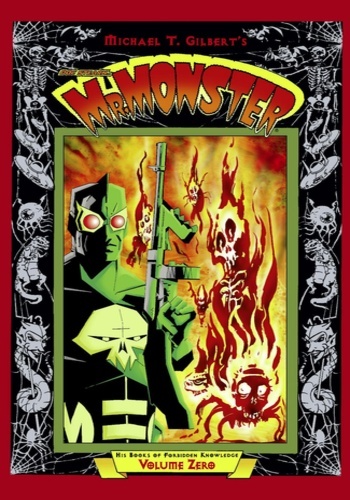 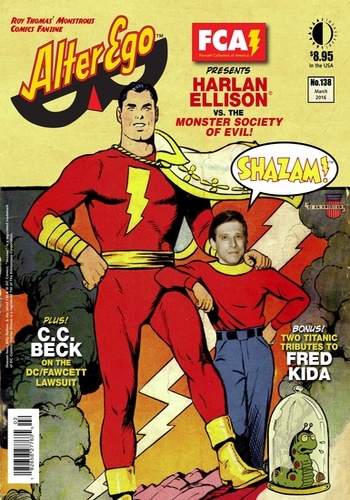 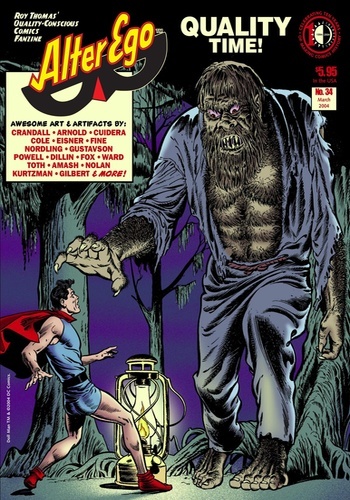 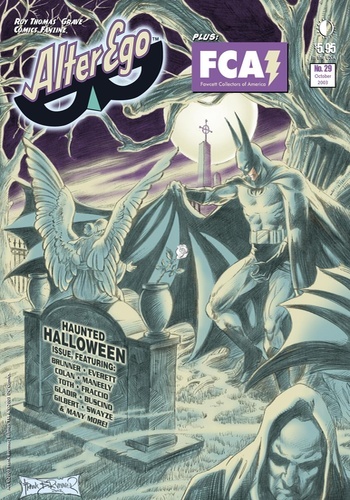 Beck and recollections by Fawcett artist Marcus Swayze), Michael T. Gilbert exploring Mr. Monster's Comic Crypt, Bill Schelly on classic comics fandom, and more! 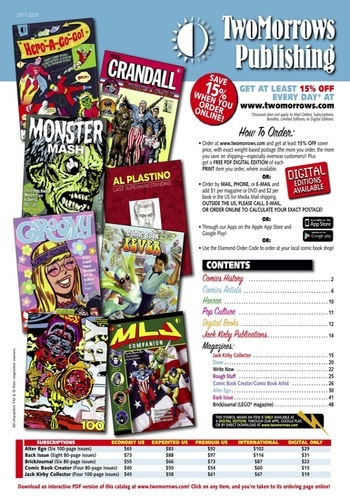 Order each issue individually, or SUBSCRIBE to get access to EVERY ITEM for a full year! 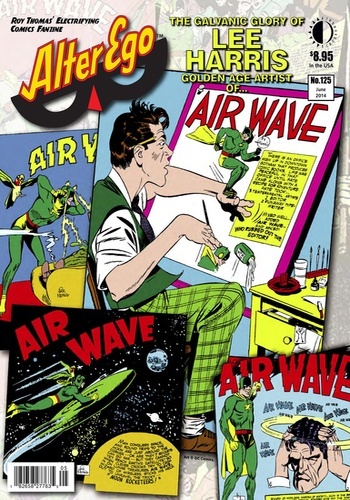 The frequency is 8x per year.